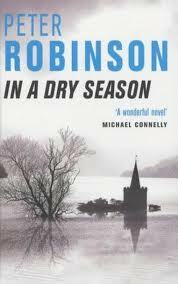 I’ve read this one too – I really like Peter Robinsons books. Have you read any of his stand alones? I really liked Caedmon’s Song but apparantly that’s one of his worst. I have read 3 of the Inspector Banks books and really enjoy those. I haven’t read his stand alones. I’ve only read Inspector Banks. I found him after I sped through everything by Ian Rankin. Great review of this one and it is probably one of my favorites. I thought he did so well with the flashbacks and all. I loved that at the end of this one you feel like there’s going to be a big turning point in Banks life with so many changes happening. I almost picked up one of his books last night. I was so close. Next for me in the series is Aftermath. And, you know, I love Rankin too. It’s been a while though since I’ve checked in on Inspector Rebus. I do find the Rebus series a bit harder to get into probably because Rankin adds in more of a political background and sometimes I get a bit lost but that’s no excuse I need to follow up on that series. Thanks, Iliana. It’s one of my favorites as well. I think I’ve read almost all of the Banks series. I’m getting an early copy of his next. Is it Aftermath? I can’t remember the title. I am watching the mail daily for it! “If youâ€™ve had no exposure to him before, he likes his Laphroaig, but he likes it with a side of opera.” I love this line! I’ve heard so much of Inspector Banks, and I don’t know why I’ve waited to pick it up. There’s something about a quiet detective series — have you read P.D. James? Interested if they’re similar in the sense of a good quiet detective read? Hmm. I’ve only read a bit of P.D. James. I would describe them as quiet. I’ve mentioned in the past, I like European detective novels (usually) better than American ones because the American titles tend to be pretty gritty and “loud.” Give this series a try. I think you’d like it. And thanks!